The Harrison County Sheriff’s Office Detective Bureau is comprised of one full time investigator. There are two other deputies who are called in if case load increases as part time investigators. The investigators are trained in many areas of investigation. The investigators are called upon to perform many various tasks. Each of the investigators can handle any case that is forwarded to them. Detective Lieutenant Robert Toker is responsible for investigating major criminal investigations including major acts of violence against persons such as death investigations, felony assaults, child abuse, child neglect, burglaries, theft, drug cases etc. The following statement forms are provided for persons whom are instructed by an officer to download, fill out and return to that officer. If you were not instructed by an officer to aquire the statement forms in this manner the Harison County Sheriff's Office will not accept them. 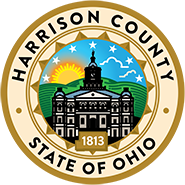 If you reside within Harrison County please contact our office and a deputy will be dispatched to your location or you are welcome to come to the Sheriff's Office in person and file the complaint that you have.